Separation from loved ones is among the hardest things a soldier has to deal with. Lengthy campaigns have kept husbands from their wives and parents from their children. The army has long recognised the importance of communication with those at home. But it's not always possible for soldiers to send a letter, or explain their feelings in one. The life of a soldier has always entailed long periods away from loved ones. Before the late 19th century, the average private soldier was likely to spend two-thirds of his 21-year period of service abroad, often in India. During the World Wars soldiers were kept away from their sweethearts for periods of up to six years. And, most recently, between 2001 and 2014 soldiers served six-month tours of duty in Afghanistan. The British Army has always done its utmost to provide a fast and reliable postal service in order to allow soldiers to communicate with home. The first Army Post Office opened in 1808 during the Peninsular War (1808-14). Today, soldiers use telephone and email to keep in touch with loved ones. The significance of keeping partners in contact with each other remains crucial in ensuring that relationships survive military service. Private Charlie Cole served with 7th Battalion, The Buffs (East Kent Regiment) during the First World War (1914-18). In 1918 he became a prisoner of war, and was incarcerated at Stendal in Germany. 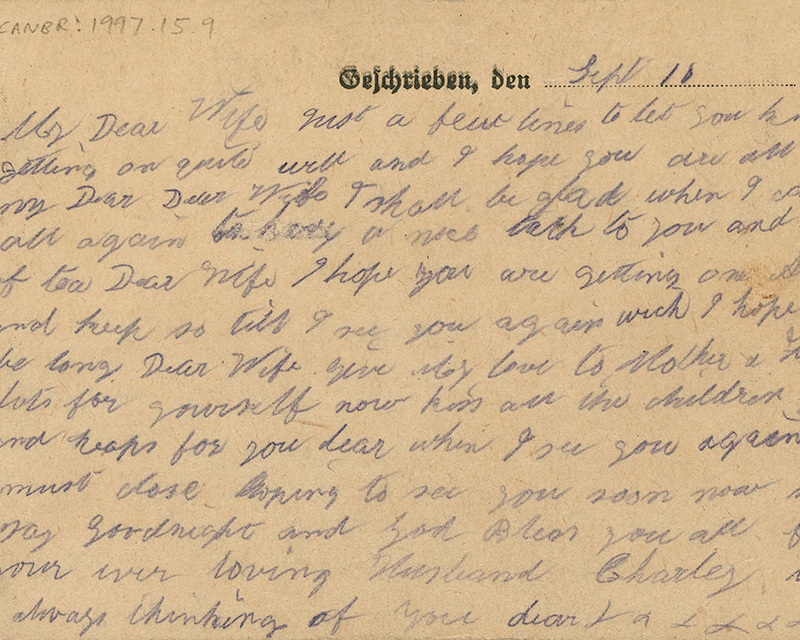 While there he wrote a series of postcards to his wife Martha, expressing how much he missed her and his children. In all of his messages he hoped to be home soon. In January 1919, when Charlie had still not returned home, his wife wrote to the Red Cross asking his fate. They wrote back telling her that he had died as a prisoner on 17 September 1918. One of Charlie’s postcards sent to Martha from Stendal Prisoner of War camp in 1918. Interlocking gold rings, sent to Amelia Porter, from her husband Robert, informing her he had survived the Battle of Waterloo in 1815. Quartermaster Sergeant Robert Porter was a member of the 28th (North Gloucestershire) Regiment. He took part in the Napoleonic Wars (1803-15), fighting at the Battles of Quatre Bras (16 June 1815) and Waterloo (18 June 1815). Following the victory at Waterloo he wanted to let his wife know that he was alive. Unable to get a letter to her, he instead sent her a token of his love - a pair of interlocking gold rings in a glass box. Delivered personally by a comrade, the rings were engraved with their names, ‘Robert’ and ‘Amelia’. It was a clear message that he still loved her. Mabel Baker’s husband, Sergeant Anthony Baker (above), was a member of the Royal Army Pay Corps during the Korean War (1950-53). She wrote her husband detailed letters, often filled with her daily activities, updates on friends and family, and life on the army base. In one, Mabel recalled how she and a friend had ‘hared off’ to the NAAFI for a cosmetics sale. But it is also obvious that Mabel sorely missed her husband while he was abroad. ‘You’re in my thoughts always, I never realised how much my happiness depended on you until this separation so please my love take care of yourself, goodnight and god bless. Anthony likewise missed home. 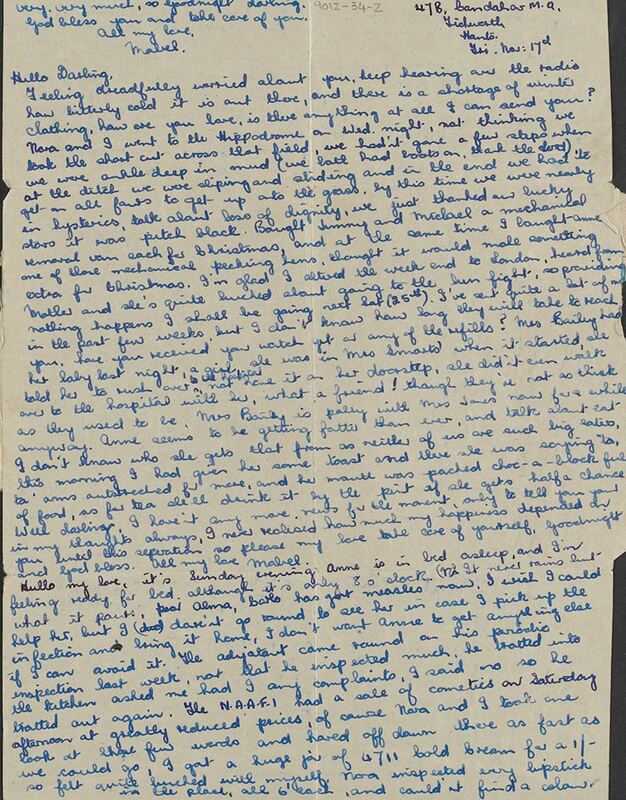 He addressed all of his letters to Mabel ‘To the only girl who ever mattered’. Lieutenant William Lee was a member of the 16th Queen’s Light Dragoons. He served in Europe between 1787 and 1792. During his service he met Marianne, a French woman with whom he had an affair. Lee left Marianne behind in Chabrac, pregnant with his child. 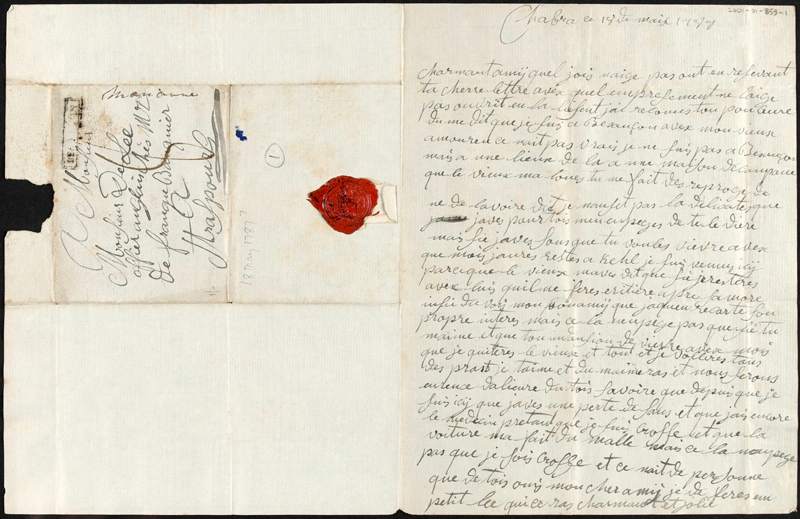 Marianne wrote to Lee asking for money to care for the baby. But by this time she too had moved on. She informed him that she was now with another man. Still, she assured Lee in a letter that this ‘would not prevent me from leaving the old man and flying to you if you love me and intend to live with me’. From Marianne’s letters it appears that Lee met with her soon after. He evidently disliked having a rival for his affections, but ultimately cared little about her or his child’s fate as it seems that he later lost interest. There was a strong misogynistic culture within the army during the 18th century. Wives, camp followers and prostitutes alike were perceived as whores by servicemen, and womanising was rife. One of Lee’s comrades wrote to him complaining of a serving girl he met, who could not be persuaded to sleep with him ‘either by force or gentle means’. Indeed, less than a year after leaving Marianne, William Lee had a new lover - Zinette Desincourt, a Parisian actress. ‘Write to me very often, you cannot imagine how much I like to read your letters. Heather Taylor (above) from Streatham in London joined the Women’s Land Army during the Second World War (1939-45). While working at farms in Halesworth and later Framlingham in Suffolk, she struck up friendships with several American airmen of the United States Army Air Forces. Like many young British women, she was enchanted by the dashing, well dressed ‘Yanks’. 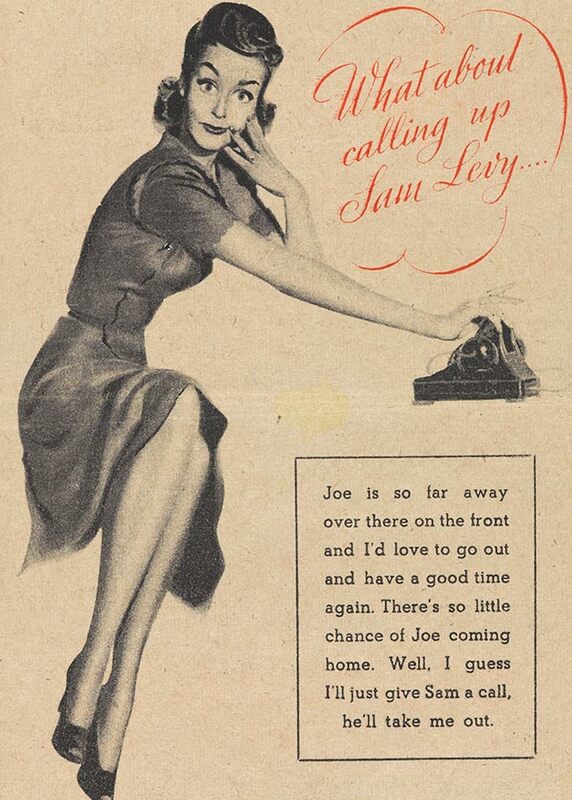 But after the war, in December 1946, she received a letter from one of her American companions, Rodney from Ohio. Clearly not. Heather refused his proposal and never married. During the Second World War, German propagandists often used separation from loved ones as a way of driving a wedge between Britain and her allies. 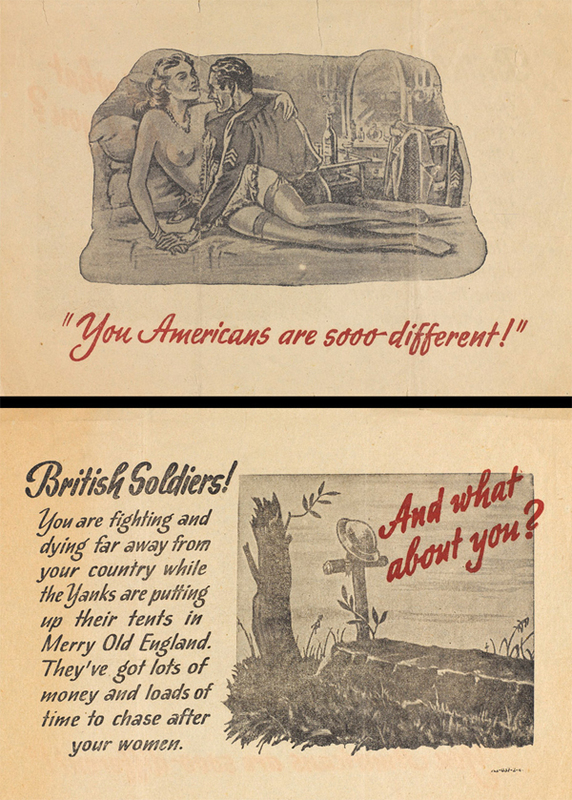 Leaflets were distributed suggesting that Americans were chasing after British women while their husbands and sweethearts were away fighting and dying at the front. Despite the difficulties, soldiers' affairs of the heart have flourished; some casual, others ultimately leading to engagement, marriage and a life together. A child’s dressing gowns, decorated with patchworks of military badges, reveal a moving story of growing up in Britain during the Second World War and the loss of a beloved parent.